Today is Babywise Friendly Blog Network day! 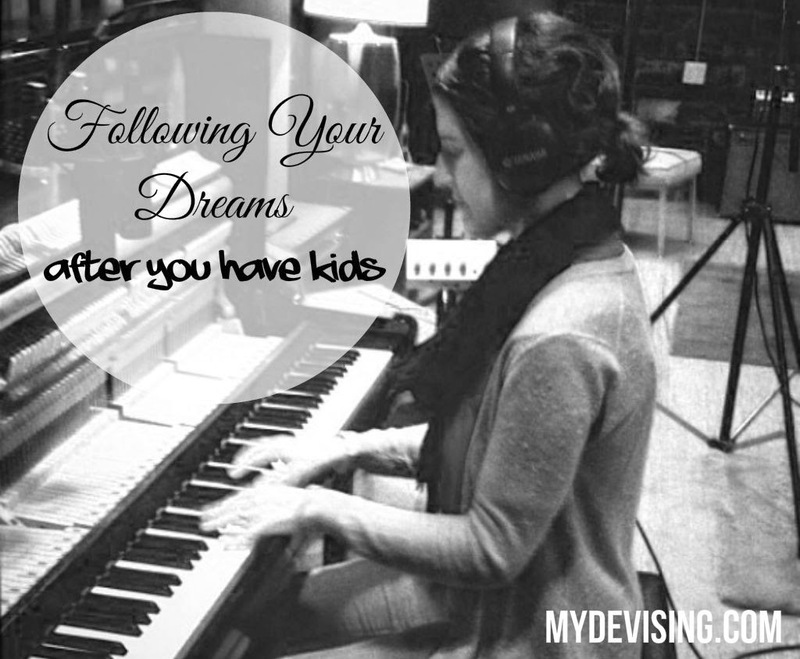 I'm talking about following your dreams after having kids over on Emily's blog. I'd love for you to read it and share your thoughts! Also, I may or may not be giving away one of our lullaby albums. I mean, you'll just have to check. 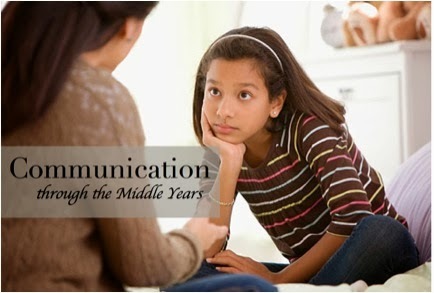 I love that Maureen is sharing about how to communicate with your children through the middle years (AKA adolescence. AKA the years that totally freak me out.) I think you'll love what she has to say! Just the other night, I popped in my DVD of Parenting the Middle Years. It’s a wonderful video of Gary and Anne Marie Ezzo as they teach us how to prepare our kids (and ourselves!) for adolescence. My oldest is 9.5, so we are certainly on our way. We are more than halfway to age 18, which frightens me a bit! Well, in the video, the Ezzos devote quite a bit of time to the importance of how to communicate with our kids. But before I go there, let me emphasize the importance of moving our kids through the funnel. At age two, you aren’t going to have a conversation with your child about what he’d like to have for dinner. But at age 12, it’s a perfectly valid conversation. Be sure to recognize that your kids are growing and aging, and don’t treat your 8-year-old like a 3-year-old. Anyway, as for communication, there were several key points that I took away from the video. Boys and girls communicate differently. You don’t need to look much past your marriage to realize this. Girls prefer direct conversation. If you feel a certain way, don’t be afraid to look her in the eye and say so. Boys require a completely different approach. Direct conversation is a little intimidating. They’re much more responsive if your conversation centers around a task of some sort. Go outside and shoot some hoops or something while you talk to your sons. In the video, the Ezzos explain that birth order also influences communication with our kids. Our first-borns in particular want direct, clear communication. They often see life in black and white. They’re usually fine with either black or white, but they just want to know with clarity what we expect. I see this in my oldest for sure. My husband is this way, too, even though he’s second of four. It drives him nuts when I change my mind or act indecisive, which I do all the time. As a baby of the family, I definitely live my life in shades of gray. For our own babies, they pick up a lot from their older brothers and sisters. They’re often perceptive of what you’ve taught their siblings and don’t require such specificity. If you don’t already, make sure to make time for conversation. Our kids need to know that our door is always open and that we want to know what’s on their minds. Make “Talk Time” a consistent part of your routine. You can set aside 10 minutes at bedtime when life is quiet, or do it at the breakfast table. It’s important, however, to give each child their own individual Talk Time, as one child may want to ask you something that’s inappropriate for a sibling’s ears. Another way to do this is to involve just one child in chores or errands. Working in the yard together or going grocery shopping is a great way to make time for one child. And by the way, working in the yard together would be great for a boy who prefers to be doing something else while talking. This little rule is fantastic when our lives get super busy and we can’t always make time for Talk Time. The Ten Talk Rule requires that the child rate the importance of whatever it is he has to say to mom or dad. If it’s a 10, mom and dad know that they need to offer their immediate, undivided attention. If it’s a 6 or 7, mom and dad can get to it sometime before the end of the day. If it’s a 5 or below, the conversation can wait until the next day or later in the week. Of course at first, every issue will be a 10, so understand that it may take some time for our kids to get used to the idea. Aren’t these ideas great?! I love the Ezzos and all their great wisdom. In fact, you may not want to delay in getting the next book or video in the series. I’ve been living in Childwise/Growing Kids God’s Way for quite a while now. In fact, I’ve even had the Parenting the Middle Years book and video for at least a year. I regret not watching it sooner. There are some real gems, many of which I’ve never heard them talk about before!